In Previous Post we have discussed about comparing two string fields. In this article we will discuss about comparing two date fields. Function range query parser also called frange. It will create range query over a function. ms function returns milliseconds of difference between its arguments. Arguments may be the name of an indexed TrieDateField, or date math based on a constant date or NOW. ms(): Equivalent to ms(NOW), number of milliseconds since the epoch. ms(a): Returns the number of milliseconds since the epoch that the argument represents. Please follow steps to check two date fields are equal or not. 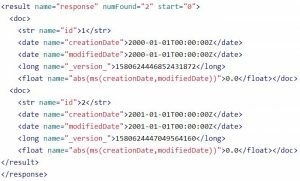 Add two date type fields called creationDate,modifiedDate. Also add one uniq field called id. add some documents to our index. 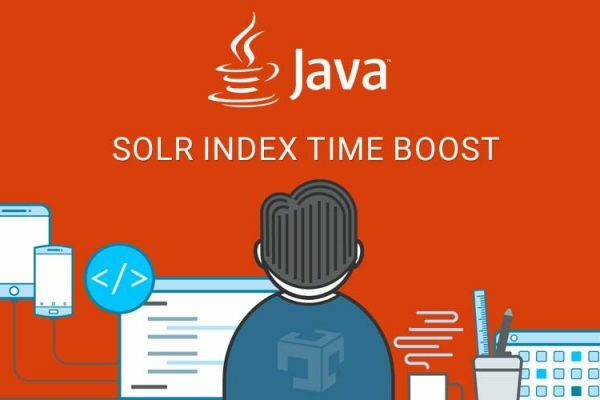 Here we have added through csv update from solr dashboard.Refer below sample data. Now we have sample data indexed.we can fire query for compare creationDate and modifiedDate fields are equal or not. To fetch document which have creationDate and modifiedDate fields have same value fire below query. To fetch documents which does not have same value of two date fields fire below query. Refer Function Query , Compare two string fields for more details.